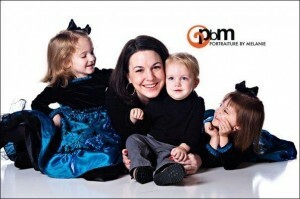 The following is Aubrey’s Rheumatoid Arthritis Story, in her own words. My name is Aubrey, and this is my onset story. My youngest child, “A3”, was born in February 2008. His sisters, “A1” and “A2” were 2.5. He was an incredibly easy child, or maybe it just seemed that way because all I had to compare his newborn stage to was the horrible twin newborn stage. Like his sisters, A3 was breastfed from the beginning. He had a sensitivity to milk proteins, so I had to severely restrict my diet, but I knew it would be worth it. I knew he was my last child and I was determined to keep breastfeeding until 18 months, or until he weaned himself. I had to sit on the floor in the supply closet at work three times a day to pump, and that’s when I first started having pain. Sitting “criss-cross applesauce” (as my girls would say) on the floor, I noticed that the backs of my knees were really bothering me. My legs would fall asleep after sitting there for just a couple of minutes and the backs of my knees would hurt for a long while after I was done. I ignored it at first, but over a couple of weeks, it was starting to get worrisome, so I called my doctor. This was in July. A3 was 5 months old, the twins were turning 3, and I had just turned 28. My doctor examined me and said he thought it was “baker’s cysts” but was perplexed by the fact that both knees were affected. He prescribed Naprosyn and told me to come back if it didn’t get better. A quick google search told me that it was most likely NOT baker’s cysts, since there were no cysts to be felt. And I couldn’t take the Naprosyn as often as needed because of the fact that I was breastfeeding. So I let it go for another couple of months. In September, the pain was getting worse, so I called a different doctor in the same practice to get a second opinion. She did blood work, all of which came back normal, and said that she simply didn’t know what was going on. She prescribed more Naprosyn and said that if it got worse, she would refer me to a rheumatologist. I knew what that implied and, after seeing what RA had done to my great-aunt and a couple of cousins (none of which are related to me by blood! ), I refused to even let my mind go there. So I lived with it for another couple of months. 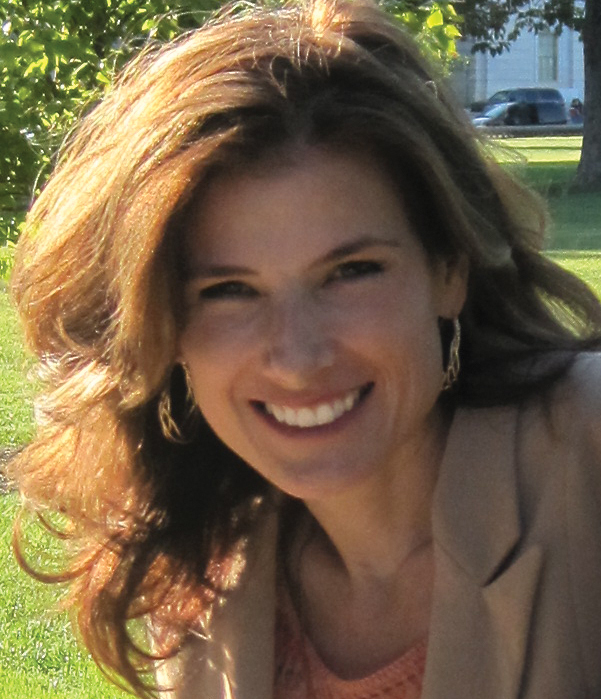 This Julie’s Rheumatoid Arthritis story, in her own words. My name is Julie and I am sending you this from your fellow sufferers from across the pond.. Although our health programmes are totally different to yours, the good old NHS, is still so much in the dark to RA as yours. I am 43, and have only been diagnosed for 1 year, I am on steroids and methotrexate,and cant take any painkillers as I seem to be allergic to them..
However,, It has taken me years to get to this stage, where I can put a name to my beast.. I have been back and forth to my doctors for years with various unnatural “aches and Pains” which have always been put down to “life style”.. I have always had an active job, in fact I have run my own gardening business for the last 4 years..however I have had a lot of stress in my life,and when I really sit back and think of it, it has always been at these “stress highs” that my body has decided to tell me about it.. I have had major bodily trauma, when I was born I was so ill I was not supposed to live the night, from that point my mother was obviously over protective.. I became highly allergic to asprin, and had very bad cases of something you described about patches of dying skin which started when I was 9 yrs. The first joint problems that I noticed were after I had my son at the age of 22. I had started part time as a florist which took a lot of standing, but it was my thumbs that took the first assault. From there my hands and wrists joined the “party”.. it would then move to my elbows, then to my shoulders, and then to my neck.. the whole episode would last about 4 weeks.. I would then start to get pain in my hips.. I was told “its your job”.. I had x rays, testas for carpal tunnel syndrome,physio etc etc etc, and nothing worked.. It was at this stage \i stupidly told one Dr, how tierd I was.. he basically laughed in my face and said if only I had a pound for everytime someone said that to me.. since that I was so scared of going back, because I felt that I was wasting their time.. Things did settle down for a few years, the pain was still there, but again I just put it down to my job.. However 2 years ago my hips and back went into such a spasm I actually had to take time off work.. I had not felt pain like it.. I was given painkillers, and reacted badly from them.. so i just got on with it.. from this point, the pain cycle went into overdrive.. I had pain in my ankles hips wrists fingers shoulders and worst of all my jaw.. I also started to loose function of my hands.. \i found sometimes I couldnt open my fingers.. again more physio and “its your job”..
One day I woke up and my knee felt stiff.. I thought I had slept in an odd position.. I went to work and within 3 hours I could barely walk.. I have no idea how i managed to drive home but I know I was in tears. I got in the bath and realised it was a mistake cos I didnt know how I was going to get out again.. I phoned my husband and begged him to come home. he did and took one look at me and took me straight to A&E. Again it was, “how have you injured it”. and I felt so much that I was wasting their time.. They did xrays and blood tests, and the Dr came back and said cant find anything wrong, but have you had an illness lately..?? I was told my white blood cells were all wrong.. 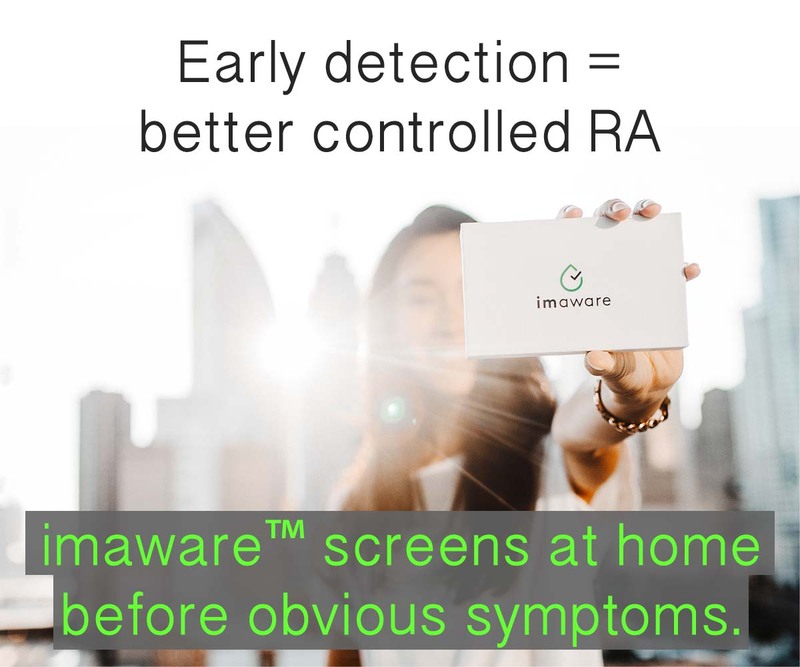 It was then she said, go and get a test for RA.. never really heard of it before, and after a long weekend of recouperation, I finally googled RA,I had nothing better to do as I couldnt walk.. Guess what BINGO.. I was reading every symptom etc.that I have had for years.. The first blood test came back positive, so my Dr put me on a referral list for a Rheumatologist.I had to wait 4 months to see him, but things seemed to be a little bit more positive, as i could see a little light at the end of the tunnel. I was diagnosed last November and nearly kissed Dr D. I felt elated.. I am not a time waster, i am not a whinger, I actually have a name for the thing that is attacking my body, and now I can at least try and understand what is happening to me..
A year later, i am coping.. I dont have a very good Rheumy team but its better than nothing..At least I can get certain meds which others cant in our “postcode lottery” of drug treatment.. Still trying to work, but my life has been seriously affected..but the one thing that has come out of all this is that I am trying not to get too stressed out about things anymore..all i want is quality of life.. i dont get hung up about goods and chattels anymore.. This is Francesca’s Rheumatoid Arthritis story, in her own words. My onset story is still evolving since I was diagnosed within a very short period between the time I first complained (June of 2009). I am 34 years old and work as an independent contractor so I pay for my own medical insurance and have high deductibles (as does my husband) so I try to limit my visits to the doctor. My previous medical history included migraines that started at a very young age, smoker, an unexplained period of over active Thyroid in College, endometriosis and then 2 years ago I had a mixed bag of very odd symptoms that I initially thought could be a virus. They included frequent low grade fevers, chronic pain near my thyroid cartilage, burning red eyes, ear pain and extreme fatigue. I put up with this about 3 weeks and then went to my PCP who ran a blood test, looked down my throat and declared me fine. I was not happy but thought it might resolve. After another month I begged for imaging of the front of my neck and thyroid. Having had a past thyroid problem and a grandmother who had a mass on her thyroid I thought it likely the source of my symptoms and a logical place to look. I was denied and dismissed but told I could see an ENT. The ENT diagnosed me with anxiety because he could not find the source of my pain after a visual exam. I was angry and ashamed and switched PCP’s. By the time I saw my new PCP this had been going on over 6 months and everyone around me was fed up with my complaints. I am extremely thin (not in my control) and I have always felt that my low weight lent to a perceived weakness on my part. My new PCP was great and agreed to a CT scan which showed a mass behind my left tonsil and what the radiologist thought were benign calcifications on my thyroid cartilage. I was really hung up on those calcifications and still am to this day because even after the mass and my tonsils were removed I suffer the same pain and symptoms. I went to an eye doctor who diagnosed me with dry eye shortly after I healed from the surgery but my PCP and the ENT who performed the surgery assured me the source of my pain was gone. I felt like I had to drop it before I would again be labeled with anxiety disorder by both my docs and family and friends and so I did. Then this June while typing I suddenly developed what I thought was carpal tunnel in my index finger. It was limited the first day and mostly just incredibly inconvenient as I need my right hand to type and write at least a few hours a day. 2 days later I went to my PCP who sent me to an ortho who was confused and thought I had injured the finger despite my inability to recall how. They offered to do x-rays but I declined since I thought it was probably tendonitis or something silly. I really had just been hoping for a quick fix. I had no idea or no concern that it was anything remotely serious. The next morning the pain I had in the 2 joints of the index finger had somehow migrated to 3 other fingers. By the end of that same day it was migrating into other joints all over as well. My right hand was visibly swollen. I never saw evidence of swelling in the other joints that were bothering me however. I could not bend the fingers they were so stiff and I was generally experiencing this to varying degrees in most of my joints with the exception of my hips. I had no idea what to tell people and it may seem hard to believe but virtually only 10 percent of the people I was interacting with those first bad days even noticed. My husband and I work together so he was covering for me as much as he could. I was unable to feed myself, drive, dress etc mostly due to the severity of my right hand. I went back to the Ortho, they ran blood tests and 2 days later called me and told me my Rheumatoid Factor was very high and I had inflammation and had already scheduled me to see a rheumatologist a few days later. He diagnosed me definitively a few weeks later after more labs and xrays despite the fact that I had very little visible joint damage. I was put on Prednisone and Plaquenil. I loved the Prednisone which had me nearly back to normal in a matter of days. I told very few people since I was afraid of losing clients and for the most part you could not tell there was anything wrong particularly once I had the Prednisone. I also was not completely convinced since my symptoms would come and go and 6 months out I have yet to experience a flare as bad as the first. My knees and right foot chronically bother me and had been to a small degree for a few years, but not to the point where I have a visible limp (except for some mornings when I tend to have a tougher time). I slowly started telling some people and I HATE the reaction. I am, and have been consistently exhausted since I first started with the eye/ear/neck pain 2 years ago so I have this paranoia I am earning a reputation as a complainer. I am having a hard time getting as much done but can’t afford to do less. I recently started Methotrexate after a lot of convincing from my Rheumatologist and husband. This morning I decided to post about my first experience with Methotrexate on my Facebook profile as a way of ‘’outing myself despite the fact that I use it for networking with clients as well as friends. I don’t like the reactions or non reactions I am getting. The last few months I keep hearing anecdotal stories about people who were ‘cured’ by a wide range of arbitrary and ‘natural’ supplements/drinks/herbs/ etc.. I have had people flat out tell me I don’t need medications and I am a ‘tool for the pharmaceutical companies’ which I can’t respond to in a short, articulate and unemotional manner. I would be thrilled if there were indeed such a cure, it would be tremendously helpful to my pocket book as well. What is really tough is being told that if I had a better attitude I might feel better and that positive thinking might just be enough in the opinion of some aquaintances who did NOT go to medical school but feel confident doling out their ‘prescriptions’. In general I try not to think about it or discuss it with others as I just get depressed and frustrated. Its exhausting finding excuses for why I might have to cancel a social activity but when I do explain its even more exhausting to deal with the lack of understanding. Glad to have found this blog as I have been feeling rather isolated. I am curious to hear how people manage this with work. I have no option to slow down and I feel like I am barely hanging in. The tactic of pretending nothing is wrong is not working for me but talking about it so openly may not be a smart professional approach either. This is Shanna’s Rheumatoid Arthritis Onset Story, in her own words. My story happened very quickly: 3 months from the first symptom to a diagnosis and the start of treatment. I gave birth to my second child, a girl, L, at the end of March 2009. I also have a five-year-old son. I had an incredibly healthy pregnancy and an easy delivery. Two weeks after L was born, I noticed that my feet felt a little stiff after I had been sitting. I tended to breastfeed on the sofa sitting cross-legged, so I assumed it was from sitting in a weird position too long. Then, I started having what I called “tweaks.” One or both shoulders would be painful, one or both wrists, one or both knees. It would usually only last a day or two and then resolve. I thought it was from carrying around the baby in her carseat; that I was moving the wrong way. I had my first child at 28, and was 32 when L was born, so I figured the four-year difference was just my “older” body getting used to hauling around a baby again. At my six-week postpartum checkup with my midwife, I mentioned that I had been having some joint pain. She thought perhaps I was having difficulty with all the hormones leaving my body after the pregnancy, suggested I take a glucosamine/chondroitin supplement, and that I should be feeling pretty much normal by 12 weeks postpartum. I did some reading on the internet and found that some women do experience postpartum joint pain as the hormone relaxin gets back to normal levels. I would wake up each morning hoping that it was the day my hormones would normalize and I would feel better. Then the pain went into my hands. It felt like every joint in my wrists and fingers was on fire. Meanwhile, my feet were so swollen that I could only wear flip-flops, and I had to shuffle when I walked because my feet wouldn’t bend. I could hardly get out of bed from the pain in my feet and I sobbed through diaper changes. I wasn’t able to snap my daughter’s onesies and picking her up was almost more than I could bear. It was excruciating to hold her when I breastfed her. I was exhausted beyond what I felt was normal newborn exhaustion. My knees hurt so badly that I dreaded having to use the bathroom, and some days I didn’t leave the house because it was too painful to drive my car, which has a manual transmission. I was taking as much ibuprofen as a I dared to while breastfeeding. I finally realized this was not a postpartum thing and made an appointment with my primary care doctor, whom I had actually never met. In the last fifteen years I have only been to the doctor for my annual pap smears and of course, for my two kids. I gave birth to both my kids without an epidural, and I consider myself to have a pretty high tolerance for pain. I knew this just wasn’t right. My doctor took down my history and drew blood. I came back a week later and he said my blood was elevated for rheumatoid factor. He then drew more blood for the anti-CCP test and told me he would have the results within the week. In the meantime, my husband was having to go into work an hour late because I was unable to get the kids up and ready by myself. My doctor finally called me and said my anti-CCP also came back positive. On the day he called I hadn’t been able to bend the fingers on my right hand for a week. Thankfully, he was able to get me into a rheumatologist within a week. I realize now what a miracle that was! In anticipation of my first visit with my rheumatologist, I had made the agonizing decision to wean L from breastfeeding. While I was heartbroken to not be able to give her my abundant supply of healthy breastmilk, I was not a fit mother for her in the state I was in. The day after my first appointment, on July 2, I started methotrexate and prednisone. My rheumatologist went to bat for me with my insurance company and got them to approve Humira for me before their standard three-month trial on just methotrexate, and I started the Humira on August 3. I was able to stop taking the prednisone at the end of August and so far I am responding very well to the Humira. Hello, my name is Bianca Cox and I have Psoriatic Arhtritis and Spondalyathrapthy. I have read everyone’s story and I am glad that people are speaking up about thier experiences. I also want people to know that they do not have to suffer. There are so many medications out today that help. Looking back I believe that I began to have symptoms with I was in elementary school. My back always had knots in it and I would beg people to massage my back. I also always needed more sleep than most. My symptoms did not come full circle and until after I had given birth to my second and last child. I was 3 months post partum and I woke up one day and felt stiff all over. I am a nurse so I inspected all of my joints and they did not appear to be swollen. I went to a primary care physcian and he ran lots of tests and then told me I had fibromyalgia but that there was nothing that could be done for it. That was 11 years ago. Anyway,It hurt so much to just move, much less take care of my two kids. I became almost comempletely dibilated and we had to hire a Nanny full time to help me with my kids. After a few years I did begin seeing a Dr. who specialized in Fibro and he put me on afew meds that helped somewhat but I continued to get worse. I have two sisers who both have arthritis and so I went to see a Rheumatologist – nothing showed up on my lab work and everytime I made mention about my sisters he acted like I had not even mentioned it. He did put me on a trial dosage of Prednisone and I immediately got some relief but he said I could not stay on it. I gave him a year of my life and then he finanally told me that I needed to go see a Pys.DR. My Fibro Dr. told me he was convinced I had a form of arthritis and told me to go get a second opinion. I did and I saw this new Dr. and she examined me and within 20 min. told me that I had Psoriatic arhtirits. I cried because I could not believe I had suffered by that time 7 years with this disease not knowing that I had it. It has taken a total of 3 years to get me to the point where I feel half way normal again. I take Rhemicade infusions every 5 weeks and I am on a long list of other meds but it has changed my life for the better. I am now able to take care of my kids without help. I do have someone who comes and helps me clean my house every two weeks. It is true that my life will neveer be the same as before. I still have to pace myself and I still have days when I hurt but I have more days when I feel ok then not. It is difficult because when I really sit down and think about this the fact is that everyday for the rest of my life I am going to wake up in pain and everyday I will have to get up 1 hr before my family does and take pain medication to help take that pain away so that I can be the mom that my kids need me to be. But I am thankful that there are medications out there that I can take. It has taken me a long time to complete the 7 stages of grief, but I have finanally come to accept the fact that I have a chronic illness and that it is not going to go away. I would like to encourage everyone to keep on keepin on. I will be going to Washington DC to help advocate for us. Thanks, Bianca. We do have several Ankylosing Spondylitis readers. Let us know how it goes in DC. Thank you ladies for taking the time to share your story. Thank you all for your stories. Francesca’s story really hit home with me when she spoke about how difficult it is to deal with all the advice given by non-rheumatologists. I, too, have been told that I am a tool of the pharmaceutical companies, or that all I need to do is go on a water-only 14 day fast, or that if I just learn to be happy and have a better attitude everything would change! I am grateful for my sense of humor, as it has enabled me to brush most comments off, but I still get frustrated. When I was first diagnosed, my rheumatologist warned me that I am going to hear a lot of advice from people who really have no understanding of the disease. That also really helped prepare me for the onslaught. 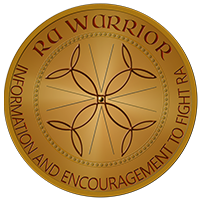 I am deeply grateful for RA Warrior and all the people who have contributed. Thank you. Francesca and Barbara … I too completely understand. While I was fortunate to get a diagnosis from my rheumatologist within a first visit, 2nd, etc., I have had to put up with people who say to just take an Aleve and you will feel better. They also are quick to say that they too have arthritis and they just live with it. So, in other words, I should be doing the same thing. The fatigue is mind numbing and without an afternoon nap, I am pretty useless. I am now on an Actemra infusion and it has helped greatly … but it doesn’t eradicate the disease and you are never sure when you will get a flare. I am currently in a flare and the pain is terrible, the fever, the fatigue is all pretty crazy. I really wish there was a different “name” for RA as people think you are just a wimp and you can’t handle it. They assume that it is just “arthritis” and everybody gets it sooner or later. I am fortunate that I have a great husband who really understands the disease and has gone to many of my appointments. I live in Canada and was fortunate to be able to get an appt. in a few weeks and he (the rheum) knew right away what it was. I now see him every 6 months to monitor how everything is going and I would be lost without him. I too have family members who are shocked to hear that my thyroid, gallbladder, and definitely my kidneys have been affected by this disease and also the medications but I can confidently say that I got my life back with my Actemra infusions. Thankfully … with government support I don’t pay for them … I would never be able to afford it. Stay strong my fellow sufferers … I feel your pain. Ok Kelly – I just had a good cry – so many stories- I can relate to them all. Will get mine to you. thanks for putting together this avenue for all of us to share- it truly helps. Shanna, your story is so similar to my daughter. After the birth of her first (and last!) child, conceived after 3 rounds of IVF, she started with aching shoulders/upper arms. We put this down to lifting a baby plus his car set around plus they had just moved house so she had lifted stuff too. However, one morning she just could not get out of bed and this was about 6 weeks after the birth. I have read on many websites, stories from new mothers who all started with RA after childbirth. I spent most of my free time, when not helping with this new baby, Googling RA and found Leaky Gut and food elimination amongst other things. Tess did go to a nutritionist and it was her treatment with probiotics and food elimination that gave Tess almost immediate relief She did suffer what is called a Herxheimer Reaction at first but once that was over she was as good as new. Tess continued to eliminate many foods as she felt good but she lost a lot of weight and went down to under 7 st and size 6 (English size) and because of this had to go back to her normal diet, at least for a while.. The pain came back. In December 2010 she was offered Humira as she was found to have joint damage. She had been on Sulfasalazine when she returned to work and also offered MTX which she tried three times but this gave no relief and she didn’t like it anyway. It was then she went to the nutritionist. Once Tess was on Humira, having gained weight, she started back on the food elimination diet. It was obviously difficult to tell whether it was the Humira or the diet and I did ask her to delay the injection for a week or so to see what happened. She didn’t do that until the October 2011 when she forgot. She has not injected since that time and has been really well. She found, even on Humira, that if she ate tomatoes inadvertently, she would get pain. She now believes that dairy foods and tomatoes are the biggest problems to her. I do wonder whether the extra consumption of milk whilst breastfeeding pushed her over the edge as it were! She was never a milk drinker and still isn’t but to increase breast milk was drinking chocolate flavoured milk. It makes one wonder. Leaky gut is not uncommon as Candida can be worse when pregnant and food particles can leak into your blood stream. Your body then sees this as an enemy and this causes the inflammation. We can all suddenly acquire food intolerances. There are many books on food and RA. English rheumy has written a book on diet and RA – Dr Gail Darlington. There are many others including one called Conquering Arthritis written by Barbara Allen who also has a website. Acidic foods are to be avoided by Tess as far as possible and she keeps an eye on her PH levels – you can get testing strips online. I wanted to mention a curious detail. I noticed that in a significant number of onset stories people had an excessive level of stress prior to onset. I have always hated my doctor attributing all things to stress, however, I have definitely notice symptoms getting much worse in times is stress. Which for most people is a daily reality. Also, I started smoking at 14. Prior to onset I had quit and gained weight. I started again and have not stopped loosing weight since. I lost sixty five pounds in 14 months without diet or excersise. I was also prone to bronchitis and pneumonia almost annually. Francesca- I am 39 and was diagnosed with RA in April. I can relate to everything you wrote. I hate to complain but feel like I have to talk about it. I have said nothing on Facebook because I agree the reactions will not make me feel better and could be hurtful. I am not a good actress and when I hurt pretending everything is fine doesn’t work for me. And since RA is an invisible illness I look fine. It cant be that bad right? I felt comforted after reading your entry. Thanks for sharing. U am 64. I have had RA for nearly half my life. I have hand and neck–cervical spine– surgery due to RA. I was recently hospitalized for 19 days because I had RA-caused pneumonia, collapsed lung and pleural effusion. I had two lung surgeries. I have RA -caused lung disease. These lung problems were caused from RA inflamation. This is just as reminder that RA does not attack joints only. I was fine until age 26. I tried avoiding an animal on a highway going 55 (the speed limit) but when I swerved, my front passenger side tire hit the edge of a metal culvert and popped. I don’t remember this nor the day prior or 2 days after, but what I was told was that my vehicle immediately started to drift into the field in circles, of the ground mostly, until it started hitting trees. This is when a flailing elbow must have hit the seatbelt release button and I was ejected just as I hit a tree, sending me so far in the air that my shorts hung on a tree branch 15 ft above ground- meaning I was likely on my way down when my belt hooked onto the branch. I lived in a swampy area outside of Daytona Beach, Fl so the soppy land allowed me to skid until I came to a stop, (thankfully) face up in the swamp, 50ft away from my vehicle. Long story short and 29 broken bones later, my life, what was left.. was forever changed. I was young and poor and had no health insurance as I was a dog groomer working at a shop with just myself, the owner and one other groomer. No benefits at a shop this small, the cost was just too high. Besides, we were 1099 “employees”. Fast forward a year when most bones healed (the seven that didn’t heal by then never did and I’ve had 13 surgeries since) and I started to experience pain in joints that I didn’t feel were affected by the accident. Most of the bones broken were clavicle, jaw, zygomatic arch (cheekbone), skull (4 places), all right ribs, 4 left ribs and my left hip was out of place for over 3 hours. (I wasn’t able to be rescued by foot and was airlifted and that takes time after discovery and waiting on foot patrols/rescue teams). So, I’m going about life and trying to figure out what type of work I can do since I had to sell my home and move back to NC where my mother could help care for me. It just seemed the “better” I got recovering from the broken bones and surgeries, the more I hurt in other places. Was this due to hurting so badly in some areas that I didn’t realize I was hurt there, too? So, off to the doctors I go. I reluctantly landed a restaurant job after being rejected for 75 other jobs for lack of experience but they had health insurance options which were golden for me! Anyway, I found every doctor I went to said my pain was from my wreck, I was told I had fibromyalgia, I was told I had Lyme, Rocky Mountain spotted fever, was being sent to every type of orthopedic specialist that existed and was on sooo much medication and still I felt no different. I had “bakers cysts” behind both knees, I had “bursitis” in both hips, sometimes literally even crawling into Urgent Care clinics. This went on for years!!! I had six ribs that never healed and participated in a rib non-union study for a Dr that invented a rib fixation that unfortunately wouldn’t work for me due to where the breaks are but it was a GODSEND! That Dr had me do studies at local clinics and send them my MRI, CT scans and X-Rays to study. Something didn’t add up and I was sent to INC-Chapel Hill where an oncologist (I was sent there and had to exit the rib study due to lung nodules that were later confirmed after 3 years of being watched as “stable”) bit this oncologist told THIS to me and my MOTHERS faces. “You either have some type of odd bone cancer or Auto-immune disease and if it’s that, you usually have more than one.” I was then referred to Duke University for Rheumatology appt but the wait list was 4-6 months and that was on a cancellation list! So, I went home, cried, had blood and urine tests to rule out cancer and went to my first Rheumatologist. She refused to look at my X-rays and told me I had what was called osteoarthritis due to the wreck and I was too young to think about autoimmune diseases. Case dismissed. I was defeated and depressed and hurt but I kept powering through and going to Urgent Care for more Relefen and prednisone for years and years (9 to be exact) before I moved and had strange pains all over and after 6 different doctors were dumbfounded not being able to diagnose me, I was sent to yet another Rhuematologist. I felt like I’d never get anywhere. She did so much blood work and said so many things were elevated and she felt it was definitely autoimmune and started me on daily prednisone regimen. After almost two months, she finally said “this would be crazy if this is it but there’s one strange disease no one ever gets and I’m going to test your levels of ferritin”. It came back very high and I was diagnosed and treated for Stills disease. After that subsided, the psoriasis that I had as a kid but was never formally diagnosed with was back. I still go to this Rheumatologist to this day. She is literally a life saver!!! Since being diagnosed, I was also diagnosed with Hoshimotos Thyroiditis with goiter and nodule. Seems that Dr was spot on with if you have one you have more than one. In my case, 3. My Dr still isn’t sure if I’m more PSA or RA since I have equal signs of both and blood can only differentiate along with symptoms but the treatments are the same. Methotrexate was started and since being on prednisone for over a year already, I had to slowly taper and after another year I was prednisone free (keeping some on hand for flares only) and MTX was LIFE CHANGING!!! I got my life back! But, the day after taking 8 of those tiny red pills, I would sleep and was so lethargic I barely made it to the bathroom to relieve myself. Day two, I would throw up. After a year of this and my Dr begging me to switch to injection form (yes I’m a baby when it comes to needles), Rasuvo came out with an auto-injector and she was able to sway me. Again, LIFE CHANGING! Now, I take my easy, peasy Auto-injection among with daily folic acid and a Leucovorin tablet every Saturday morning and I have ZERO side effects most weeks! So, if you’re on the fence, do it! My dr even hooked me up with core connections so my injections don’t cost me a penny! What a relief after all these years! Unfortunately, what brought me to this site was a recent surgery and not being able to take my MTX for the last six weeks which has caused one of the biggest and longest lasting flares I’ve ever had. Luckily, it only attacked my fingers for 3 days (trigger fingers and swollen, painful joints) so I can surf the net for other stories so I don’t get depressed. Sorry so long, but I have to admit- writing this helped me so much mentally. I highly encourage anyone that’s read this far to also write their own story. To everyone else that wrote before me, thank you. It’s not that misery loves company, but it’s that being miserable and not feeling so alone is nice. So, thank you again. Take care.